The DDA40X was an experimental, high-horsepower diesel locomotive designed by Electro-Motive for Union Pacific during the late 1960s. It received its classic nickname as the "Centennial" to commemorate the 100th anniversary of the completion of the Transcontinental Railroad at Promontory Point, Utah. UP went on roster nearly four dozen of these massive units, which are still regarded as the most powerful diesels ever built. They also represented the last attempt by the railroad to find the perfect locomotive for main line service, a quest that began all of the way back during the late steam era. Of all the experimental diesels tested by UP the Centennials were without question the most successful, logging millions of miles in service despite being used for less than two decades on a regular basis. Today, one DDA40X remains active on the UP roster, #6936 as part of its heritage program. 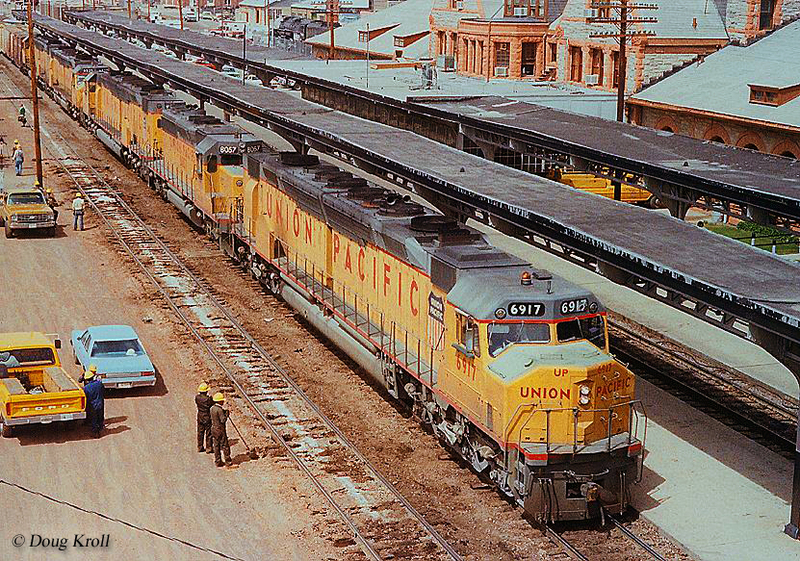 When the DDA40X model went into development during the 1960s, Union Pacific's desire for large, powerful locomotives was not new. The railroad had been experimenting and churning out massive machines dating back to the steam era; some were successful like the 4-6-6-4 Challenger and 4-8-8-4 Big Boy while others were not such as Alco's 5,500 horsepower C855 of 1964 and General Electric's U50/C models rated at 5,000 horsepower built between 1963 and 1971. Even Electro-Motive's early designs were not deemed a success, the DD35 and DD35A. The former was an experimental B unit based from the popular GP35 model; built between 1963-1964 it featured two 16-cylinder, model 567D3A prime movers and could produce 5,000 horsepower. The DD35A of 1965 was essentially the same locomotive with an added cab. While these locomotives had problems early on these were eventually corrected and they remained in service until the early 1980s. What became the DDA40X was an entirely different design. It was not two locomotives stuck together such as was the case with virtually every other model released up to that point (i.e. the C855, U50/C, DD35/A, etc); instead, it was entirely new built from the ground up by UP and EMD. 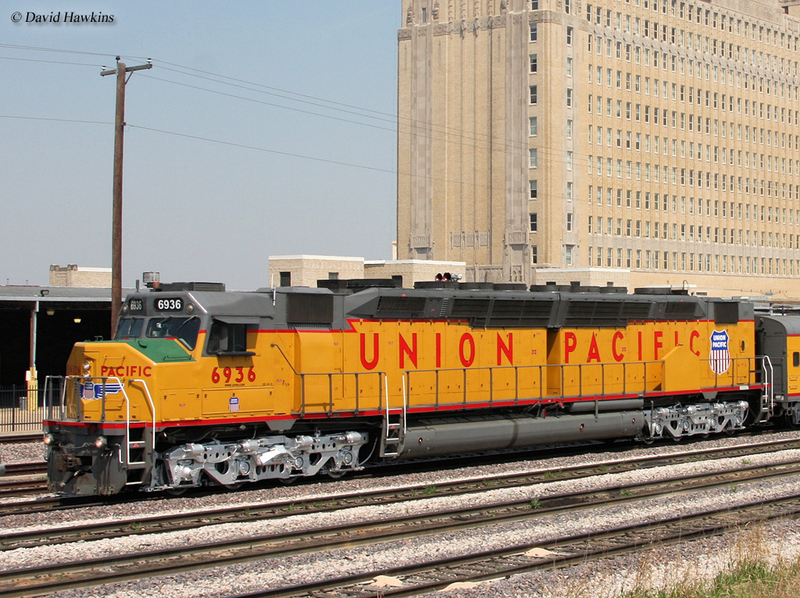 The DDA40X would also mark the pinnacle and end of Union Pacific's desire for the "perfect locomotive." During the mid-1960s EMD was the established and preeminent builder of diesels, a title it held since first releasing the cab model FT of 1939. During March of 1968 the railroad and manufacturer began discussing a new high-horsepower design. As an experimental (noted by the "X"), the new DDA40X actually ushered in several new enhancements and upgrades from EMD including the latest model 645E3A prime mover that offered 3,300 horsepower, new electronic and computer enhancements as part of its later released "Dash 2" line, modularized control circuits for easier troubleshooting issues, and self-loading features among others. Union Pacific's Superintendent of Motive Power and Machinery David S. Neuhart noted that the locomotive offered some 14 improvements in all. It's 6,600 horsepower is still regarded as the most powerful single-unit locomotive ever produced (albeit using two prime movers) with a maximum length of 98 feet, five inches (which was another record). Aside from its incredible size the design's carbody looked like any other EMD product which sported the new cowl cab, first introduced on the FP45 of 1967. The first batch of DDA40Xs were not expected to be delivered to UP until 1970. However, the railroad wished to have at least one in service to celebrate the 100th anniversary of the Golden Spike ceremony during the spring of 1969. So, EMD rushed to complete the first, #6900 which did indeed make it to the festivities in Utah that too place on May 10th. While just the one unit was part of that celebration the entire class was dubbed Centennials because of it. 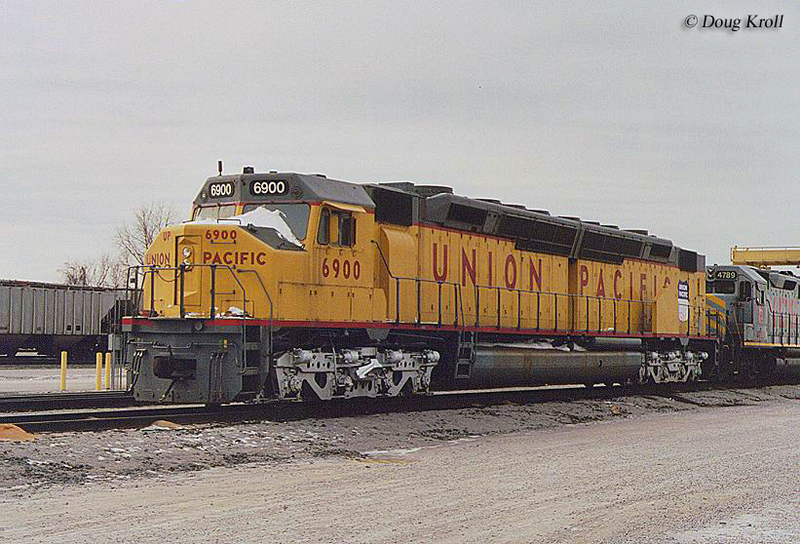 A month later Union Pacific began receiving more DDA40Xs and by the end of the year had taken delivery of untis #6901-6924. Over the following two years the railroad acquired the rest of its order, #6925-6946 for a total of 47 units in all. Contrary to the idea that Centennials were meant for drag service, pulling heavy freights over stiff grades they were actually designed for speed. While most locomotives, particularly those built by EMD, carried a 62:15 gear ratio the DDA40Xs were set to 59:18 and capable of operating up to 90 mph. 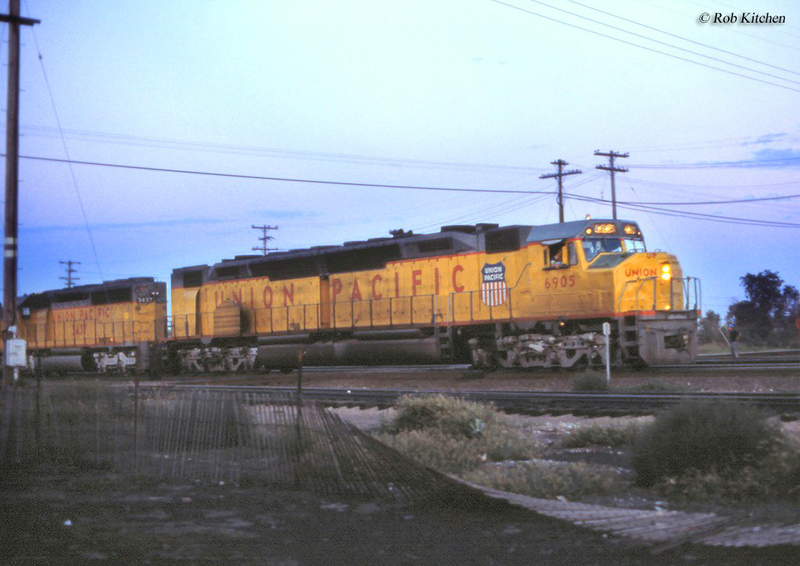 In service, the locomotives proved quite capable and Union Pacific used them extensively as premier power for hotshot freights to and from Los Angeles as well as the Pacific Northwest. Their acceleration both when starting and exiting curves coupled with their high horsepower enabled the DDA40Xs to complete a run 45 minutes faster than using an equilavent pair of SD40-2s. They were well liked by crews, which found them responsive, fast, and powerful with a quiet and smooth ride quality. The railroad used the Centennials so much that they were normally racking up more than 20,000 miles per month. After only a decade they had already logged more than 2 million miles. While this number is not unheard of it normally takes many more years for a locomotive to accumulate such mileage. For more reading about the Centennials please click here. By the early 1980s the DDA40Xs were showing their age and began to be stored as early as 1979. A few were returned to service in the mid-1980s to fill a power shortage UP experienced at the time but finally, all were retired by 1986 save for #6936 thanks to the efforts of Bob Sullivan who worked for the railroad at the time. Since then the locomotive remains active on the Union Pacific roster albeit primarily in special moves as part of its heritage program. Additionally, 13 other Centennials remain preserved around the country all of which are located either in the Midwest or Far West (one is even on display in Mexico). For further reading on these monstrous diesel please click here.